I am a very honest and straightforward person, and I believe conciseness in a talk is vital. I hate repetition...My parents would repeat to me some things over and over again... Sometimes I wish they could just speak in bullet points... My dad particularly. 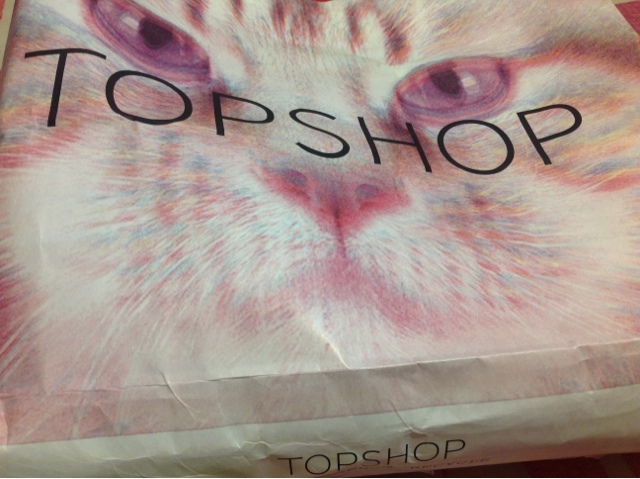 *What's hiding inside my Topshop shopping bag? Cool stuff, I hope to show you soon. *I really enjoyed talking to my operations management instructor today, He has a bold and brilliant mind and he is a sweetheart, always glad to help and give advice. His office has an amazing back view to the sea. *There is a must-happen rule that says every once in a while, you will have unhelpful teammates and you will end up doing the project by yourself. Bad luck. *I plan to work this summer for next year's nominations of the SMA Beirut awards (social media awards). My university advisor turned out to be one of the judges, as well as many alumni. I am very blessed to have an advisor whose major interests are marketing and social networking. I could use some advice to boost and improve on my blog. *I payed a visit to The Kooples new store in Lebanon. The things I liked from their website wasn't available at the store. But even if I'm not very of a suit person, theirs are just perfect. *While I was writing this at night,I fell asleep and slept with my Ipad as well. Apple, speaking of which, are rumored to be releasing colored versions for the Iphone 5S. *I am going to a concert at night to see the band Pony Pony Run Run. 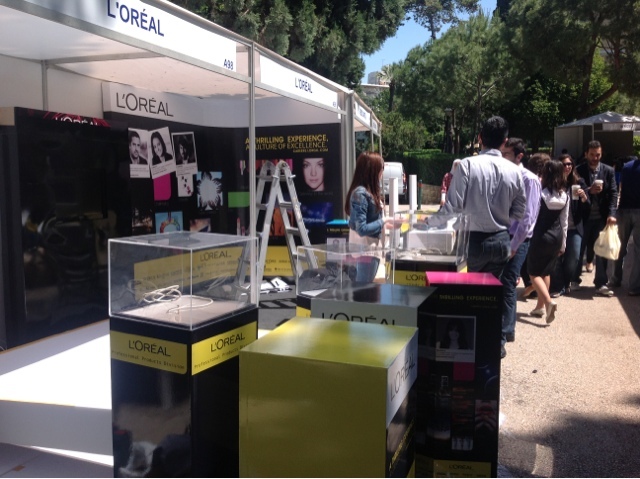 *Today at AUB, the university I go to, there's a job fair of many reputed companies, yet what caught my attention most, is the stand of L'Oréal Paris. They weren't prepared when I passed by, but I'll stop again in an hour. 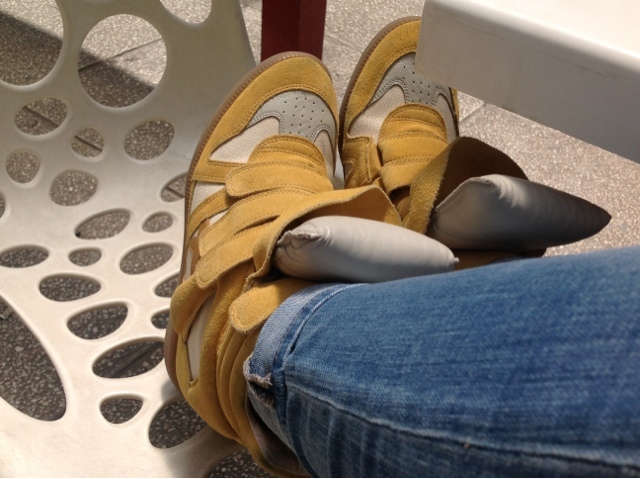 *Finally today, I will finish my first piece of ceramic shoe collection. I will show you how it looks like soon, otherwise, you can check my Insta today, later in the evening! *One last thought, people who are wearing the Fake Isabel Marrant are so damn annoying and you can SEE the suede quality and the bad stitching as well (there's a girl wearing em near me), I have the real ones, I paid for them a small worth-as-hell fortune, and I'm wearing them today (with my Revolution Zadig & Voltaire T-shirt). Too bad for the stupid.